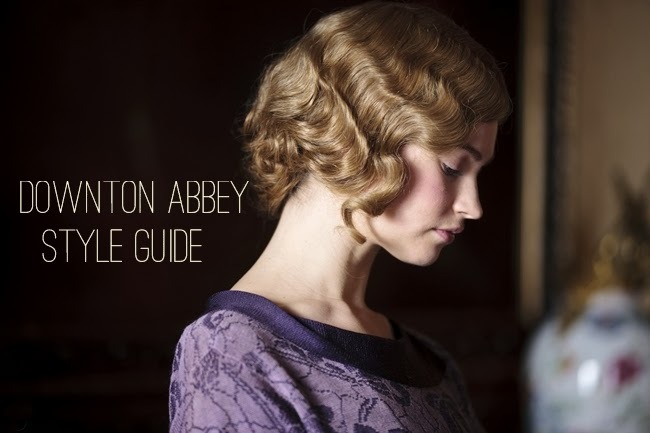 With the new season of Downton Abbey to air in the US very soon, we're all excited to see what gorgeous fashions will appear in the new episodes. Debbie from Vintage Dancer gives us an exciting preview of modern garments inspired by the time along with plenty of 1920s Style Guides to help us get the look. Earlier this week, Debbie also posted an interview with Bethany, Jessica and myself on our tips for vintage style autumn fashions. Go check it out! I had a lot of fun reading the other ladies answers! Now that winter is upon us, I'm feeling very inspired by the fashions of the 20s with heavily draped velvets, brocade, fur trimmings and cozy cloches to keep the chill at bay. 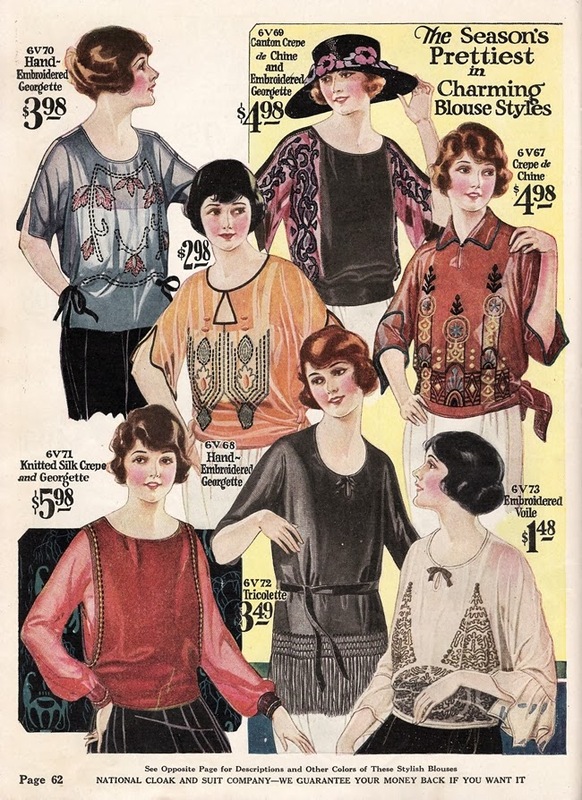 I've never dabbled much in 20s fashions because I'm used to seeing these looks on thin girls. However, there are plenty of beautiful 1920s styles for plus sized women as well. 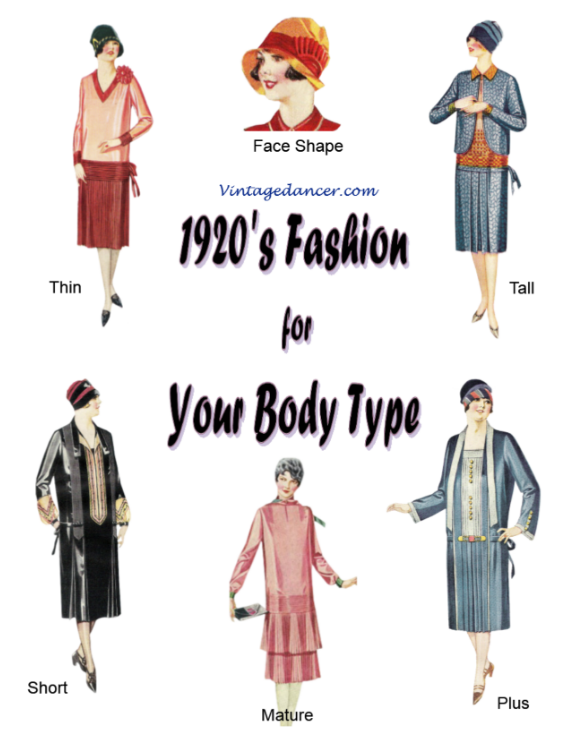 Check out the Vintage Dancer free e-book, 1920s Fashions for Your Body Type and the hand-curated selection of 1920s style plus sized dresses. 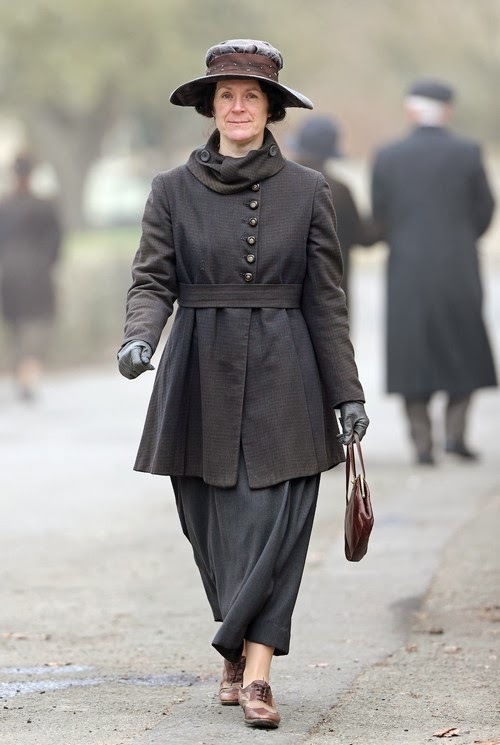 Vintage Dancer covers more Downton style in her post on Downton Abbey Style Clothes to Wear Today. 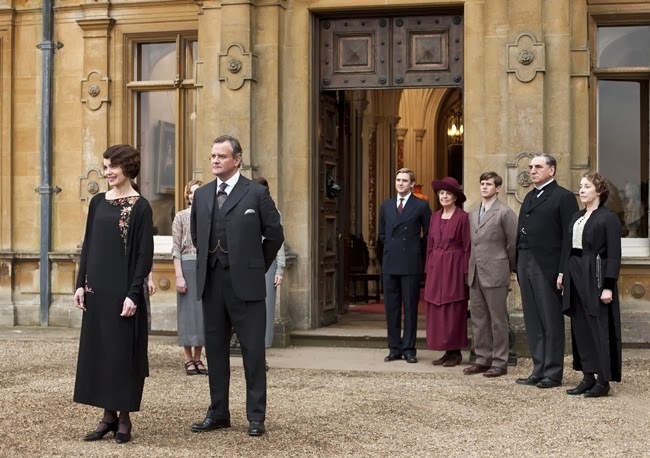 From tea dresses to cloches to 1920s style shoes, you can shop all of the best Downton style clothes and accessories from around the web at Vintage Dancer. Check back tomorrow for the last day of the Va-Voom Bullet Bra Sew-Along! Debbie's informative guides and blog posts are so wonderfully enjoyable - and chocked full of pretty images, to boot. It was a blast to be a part of the autumn fashion one with you and Bethany this week.